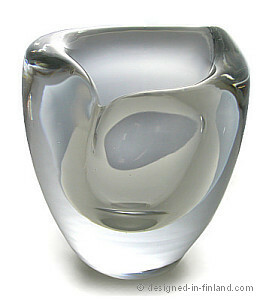 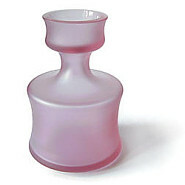 Material: Colourless clear off-hand blown glass, thin opal cased (Q-color), flared, base polished. 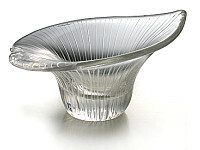 Material: Turned-mold blown crystal, cut. 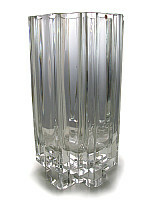 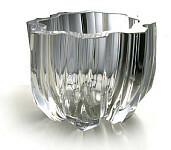 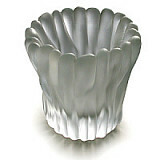 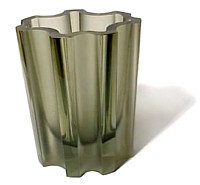 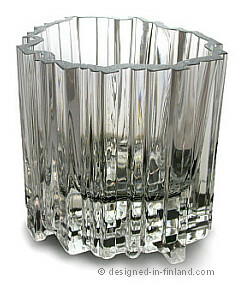 Material: Still-mold blown, cased gray colored glass; cut, sandblasted, matted and hand polished. 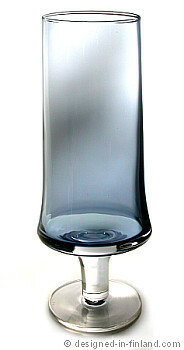 Slightly tapered from top to bottom. 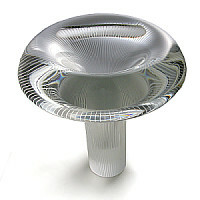 Material: Optic-mold blown colourless crystal. 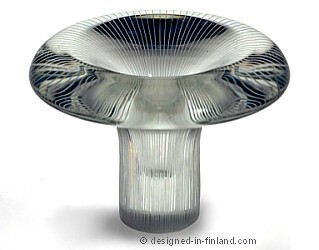 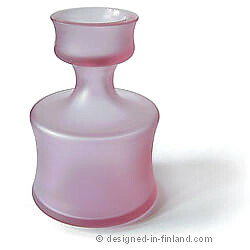 Model number/name: 3552/ the "TATTI" vase"
Signature: "TAPIO WIRKKALA - IITTALA"
ART OBJECT 3571 - "ARCADIA"
Still-mold blown clear glass, partly cut. 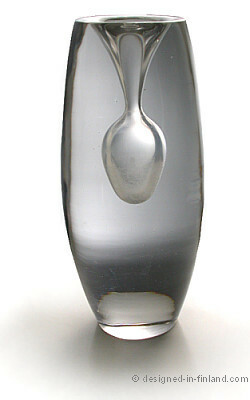 Very heavy. 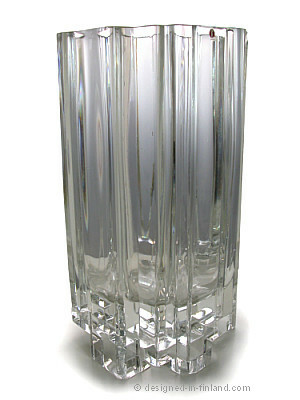 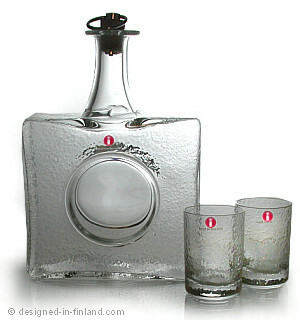 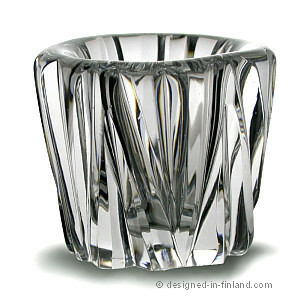 Signature, engraved: "Tapio Wirkkala 3571"
Material: Free blown crystal, thin opal cased (Q-color), flared. 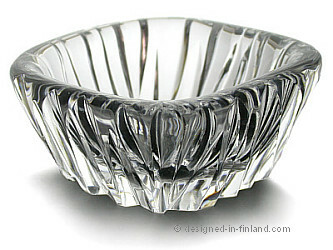 Condition: Excellent except one shallow flake chip near the mouth. 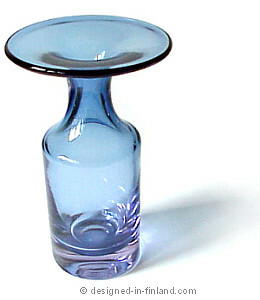 The chip measures 1/2 inch long and 1/4 inch wide (10 mm x 5 mm). 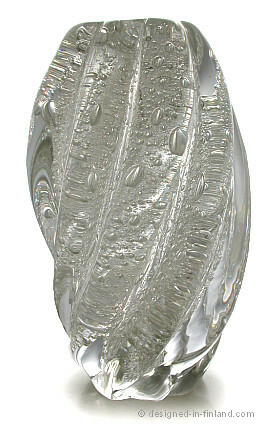 It is on the side of one of the pillars, and is not immediately apparent. 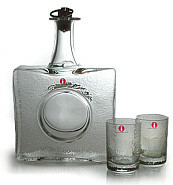 This is a true collectors treasure: only 300 boxed sets made. 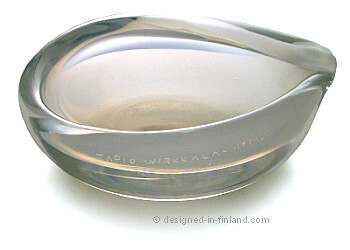 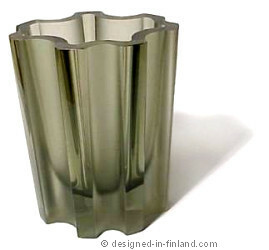 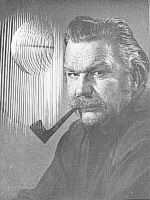 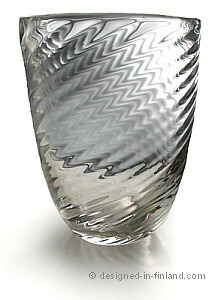 director (1951-54),Wirkkala became glass designer for Iittala after sharing First Prize with Kaj Franck in a competition organized by the glassworks. 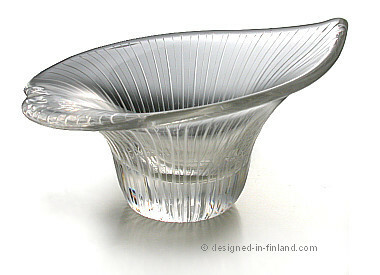 international recognition with his Kantarelli (Chanterelle) glasses and laminated wooden dishes, as well as for his role as designer and commissioner of the Finnish sections at the IX and X Triennale exhibitions in Milan in 1951 and 1954.
glass bulbs; and from Hackman, for whom Wirkkala designed the traditional Finnish puukko knife. 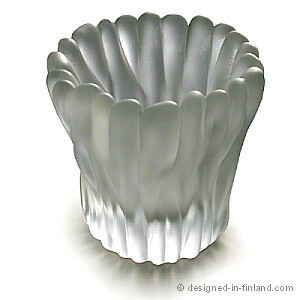 Wirkkala has represented Finland at numerous domestic and foreign design exhibitions, and rewarded numerous prizes and citations both home and abroad. "Tapio Wirkkala - eye, hand and thought"